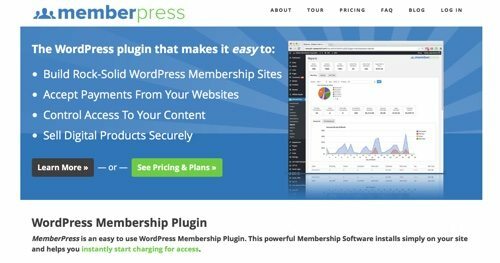 WordPress membership plugins allow merchants to charge customers for access to digital content such as a course, subscription content with recurring billing, and even access to an exclusive community. 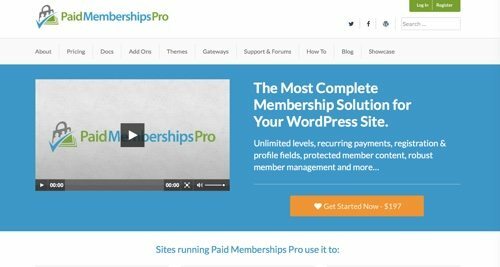 Here is a list of membership plugins for WordPress. 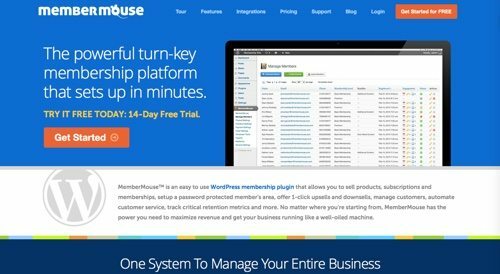 Most of these plugins offer a variety of features — such as access tiers and hidden content — that can be tailored to meet the needs of your membership business. Use MemberPress to create, manage, and track membership subscriptions, and to sell digital download products. Grant and revoke access to posts, pages, categories, tags, feeds, communities, and digital files based on what products your users have purchased or subscribed to. Build your own password-protected community. 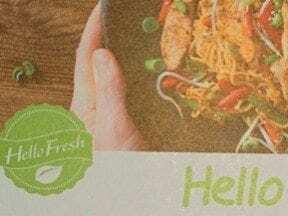 Create coupons, control when they expire, their number of uses, and even customize the coupon codes. Generate dynamic pricing pages for your membership products. MemberPress integrates fully with your already-existing WordPress website. Price: Plans start at $119 per year. With Restrict Content Pro, create an unlimited number of subscription packages, including free, trial, and premium. Offer discount codes with percentage or flat-rate discounts. View all active, pending, expired, cancelled, and free users. Send welcome emails to new members, email payment receipts, and remind members before their account expires automatically. Accept credit cards with Stripe, Braintree, 2Checkout, Authorize.Net, or PayPal Website Payments Pro. Price: Plans start at $99 per year. 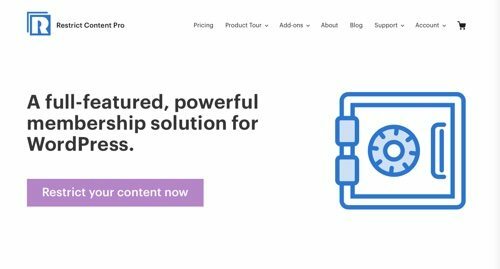 With Paid Memberships Pro, structure your membership site in the way that best fits your content, whether you are considering a hierarchical (gold, silver, bronze) or a topic-oriented model. Define an initial payment along with a recurring billing cycle, price, membership term, and optional free or reduced-price trial period. Get reports on visits and logins, sales and revenue, and membership stats. Integrates with Stripe, Authorize.Net, or PayPal for recurring payments, flexible content control, themed registration, checkout, and more. Price: Core plan offers forums and developer chats for $97 per year. Plus plan is $197 per year. 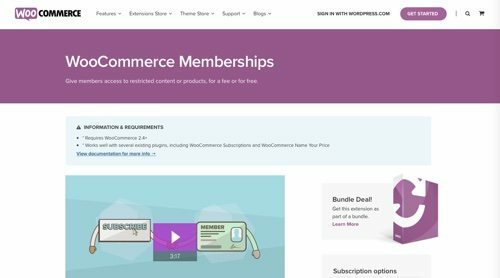 WooCommerce Memberships lets you give members access to restricted content or products, for a fee or for free. You can restrict your content to members, or drip that content over time to schedule when members have access. 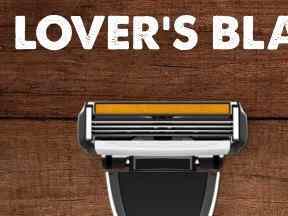 Restrict product viewing to members, which means these products will be hidden from non-members in your shop. You can also restrict purchasing, which means that products are public, but only members can buy them. Track information about memberships for a customer, add your own notes for your reference, and even easily communicate with a particular member by sharing a note with them via email. Price: Plans start at $149 per year. S2Member lets you sell recurring and non-recurring subscriptions. Sell specific Posts and Pages, sell access to file downloads, or sell custom capabilities that provide access to specific portions of your content. Protect downloadable files and streaming audio and video. Store files locally, or use s2Member’s integration with Amazon. 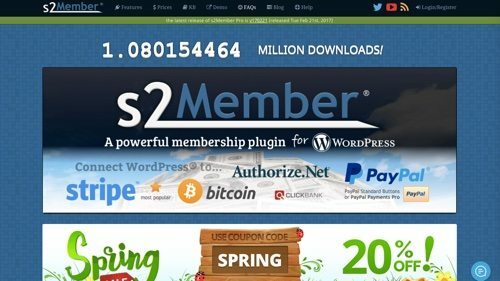 s2Member integrates with Stripe, PayPal Standard, PayPal Pro, Authorize.Net, and ClickBank. Price: Framework is free. Premium plans start at $89. 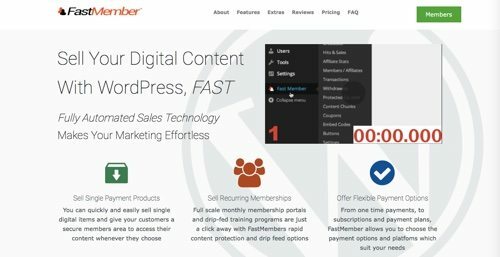 MemberMouse is a WordPress membership plugin that allows you to sell products, subscriptions and memberships, set up a password protected member’s area, offer one-click upsells and down-sells, manage customers, automate customer service, track critical retention metrics, and more. Deliver your product and customize its delivery based on membership level, duration of membership, referring affiliate, and more. Sell one-off products and set up “time-release” drip content schedules. Use a content widget to drop into your theme that will display what content is available to your members and what content will be released in the future. Price: Plans start at $19.95 per month. 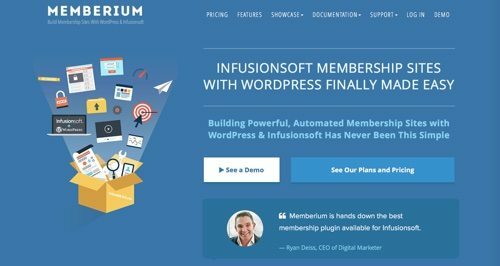 Use Memberium to turn any WordPress theme into an advanced, automated membership site. Create an unlimited number of free, paid, or trial membership levels and an unlimited number of online courses. Memberium allows you to support an unlimited number of members and students. Price: Plans start at $47 per month. FastMember is built for the digital entrepreneur to provide secure membership areas for single payment products, recurring membership portals, and drip-fed training programs. View member product upgrades or purchases, and quickly see transaction history or upgrade access. Place your offers on multiple affiliate platforms and track all your sales in one place. Price: Plans start at $14 per month. 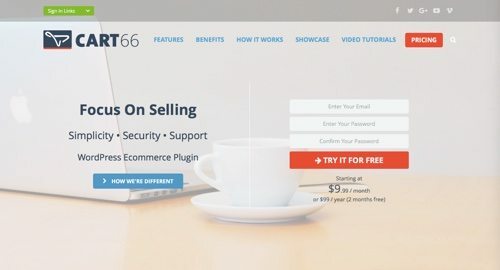 Cart66 is an ecommerce plugin for WordPress that offers memberships and subscriptions with recurring billing. Require a membership to access pages, posts, sections of content, or entire post categories. Delay access to some of your membership content for a specified number of days. Price: Starts at $99 per year. 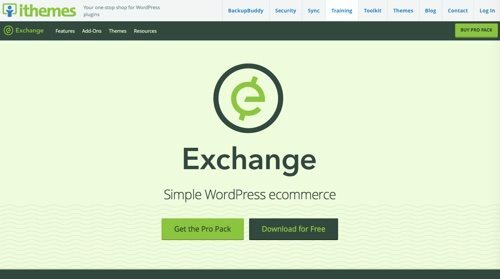 iThemes Exchange is a simple ecommerce plugin with a variety of add-ons, including memberships. Create as many memberships as you want with specific rules for what content your members can access. You can also use the memberships add-on to delay (or drip) content access — as in a daily, weekly, or monthly course. Price: Membership add-on is $97. 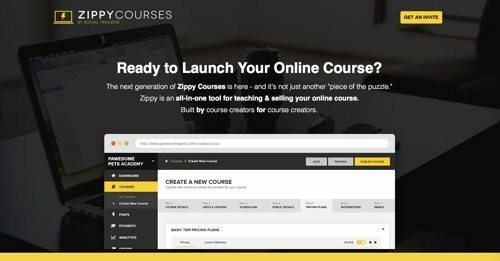 Zippy Courses is an all-in-one tool for teaching and selling your online course. Built by course creators for course creators. Release your course content at once, or drip your content. Create access tiers, so you can create one course with multiple tiers and sell it at different prices. Price: Contact on pricing.